Unlike Facebook and Twitter, Instagram doesn't have any feature to repost photos and videos from other users on your profile directly. The only option you could imagine as of now is to take a screenshot of the picture, crop it and then share on Instagram manually. That's a time-consuming way of course. 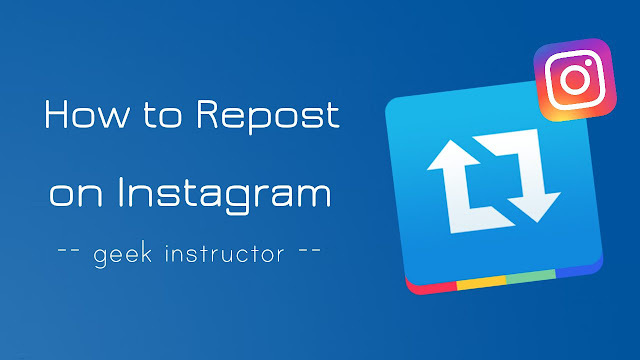 Here we have shared few simple methods to repost other users content on your Instagram profile quickly. It's all up to you whether you want to add the watermark or not. 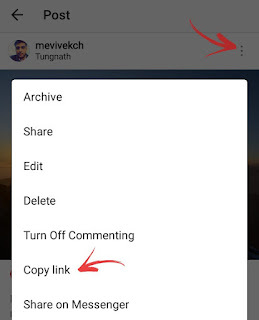 First, download and install Repost for Instagram app on your Android phone. Next, launch Instagram official app and open a photo or video that you want to share. Now tap menu button (three-dots at the top-right corner of the screen) and click "Copy link" option. Note that, this option won't be available for private posts. After this, open Repost app and click the photo. Here you can add the repost mark on either corner of the picture and select dark or light theme. If you want to remove the watermark, you can purchase the Pro version of this app. Finally, tap the "Repost" button and post it on Instagram. If you would like to add the original caption of the post, tap and hold to paste it in the caption box. If you don't want buy the pro version of this Repost application, you can use an alternative app - Regrann, which is absolutely free. 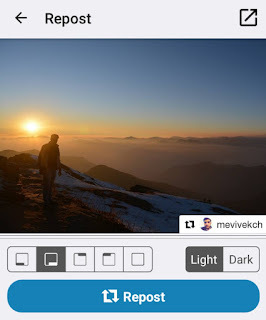 There is another app available named RepostSave which lets you repost manually or by username searching. Another good feature of this app is, you can also repost stories on Instagram. 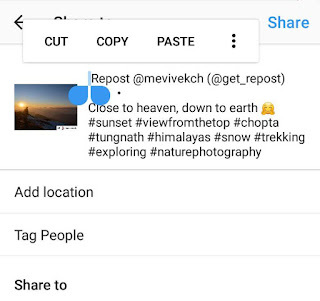 You may already know about this method of reposting on Instagram manually. All you have to do is, take a screenshot of the picture, crop it and then repost on your Instagram profile. I generally don't recommend this method because it may reduce the picture quality. Another way is to download the original photo or video by using a third-party website or browser like Google Chrome. So these are few methods you can use to repost photos and videos on Instagram. If you would like to ask something about this tutorial, feel free to share it in the comment section. Note: Please do not manipulate other's content for your interest without taking permission from them. Also, make sure to give a credit to the original user when sharing someone's photo or video on Instagram.